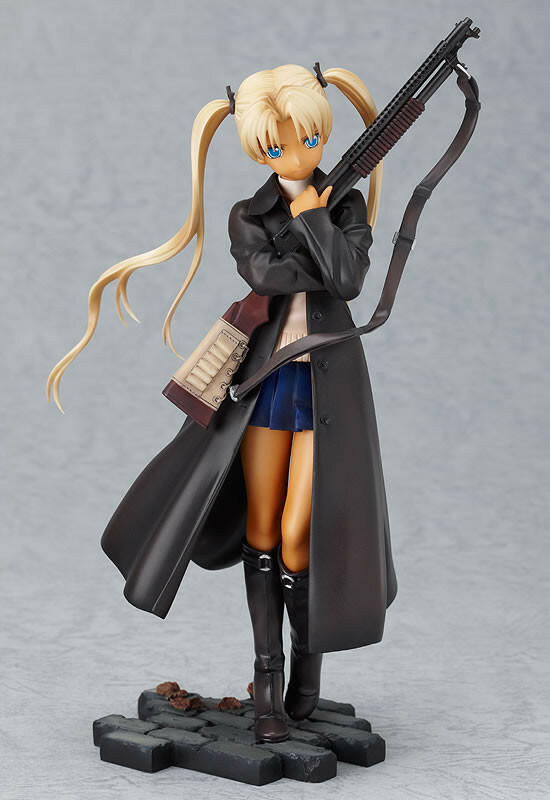 The caring Triela, who serves as a mentor to the other girls of the SWA. 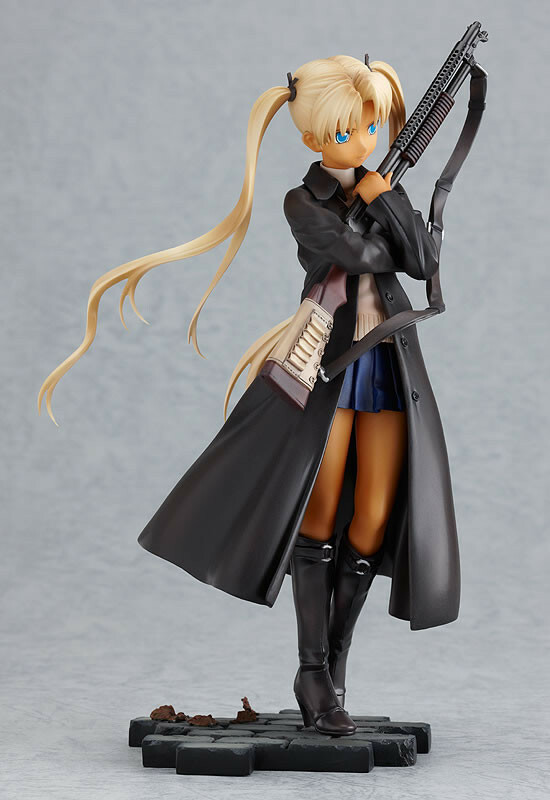 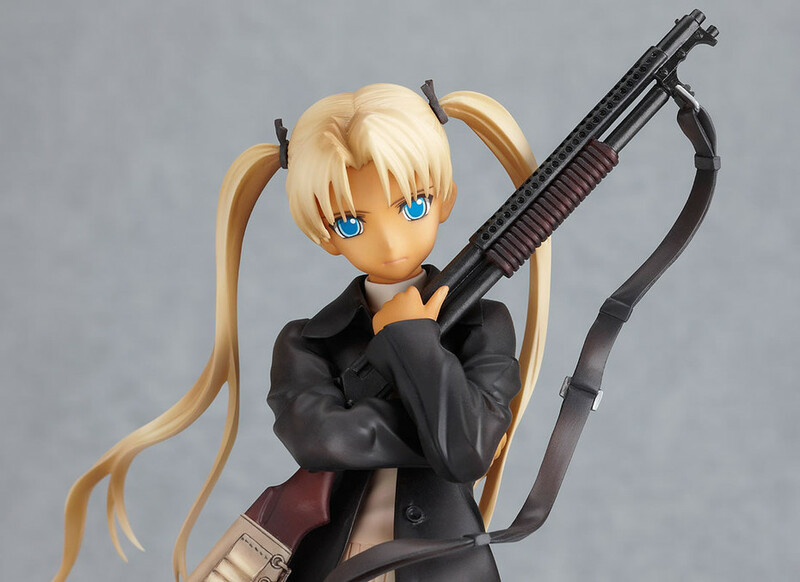 From the popular manga currently being serialized in Dengeki Daiou, 'GUNSLINGER GIRL', comes a figure of the second girl to become employed by the Social Welfare Agency, Triela. 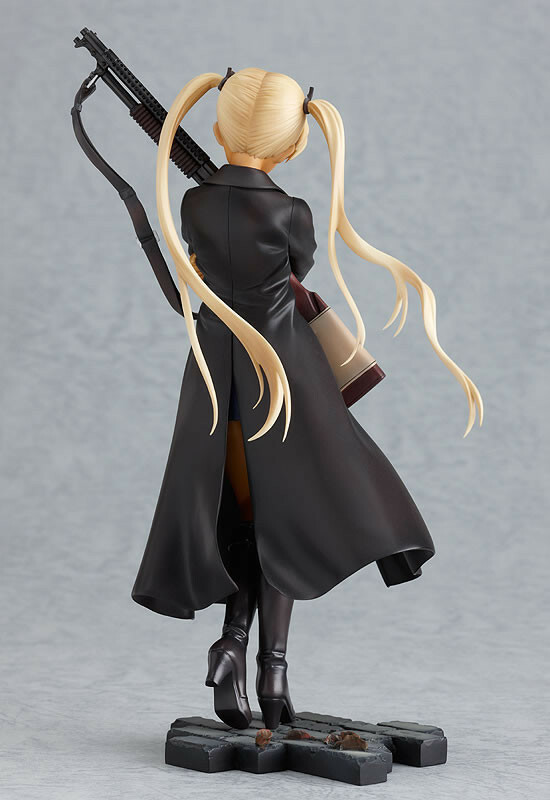 The pose is based off the front cover image from the 9th volume of the manga, and features her in a more delicate pose than she would normally be seen in. 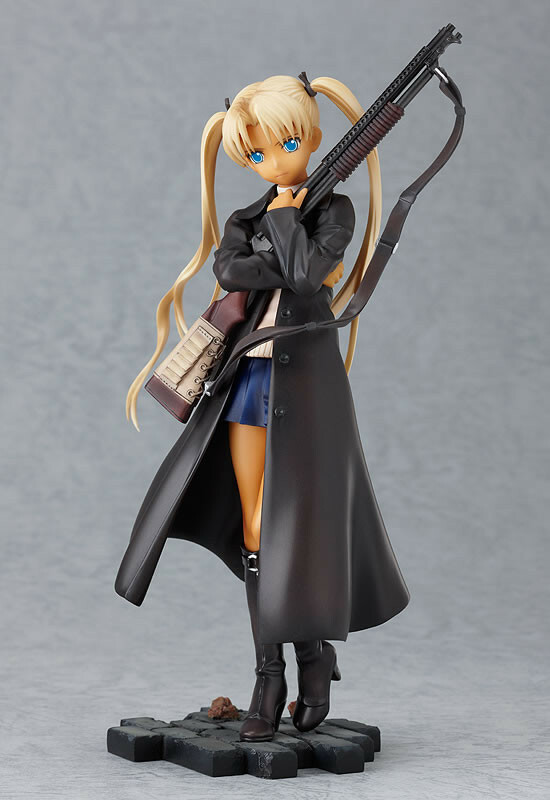 Obviously it wouldn't be GUNSLINGER GIRL without a gun - and Triela has her gun in her arms, plus the stand included features a design imitating that of brick paving, helping to bring our the atmosphere from the series as well!